Considering getting a Saarloos Wolfdog? The Saarloos Wolfdog is a large dog breed that weighs up to 100 pounds. It originated from the Netherlands and is a product of crossing a German Shepherd dog and a European wolf. It would seem like the Saarloos inherited more of the wild wolf blood, but in truth, it is loyal and devoted to its family. It is a smart dog and generally responds well to training. Saarloos wolfdogs have a lifespan of 10 to 12 years. Do you like to own a wolf-like dog breed? Then you're in the right place. 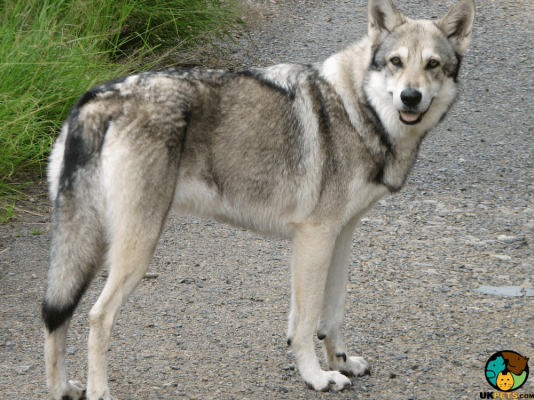 Find out more about this devoted dog-wolf crossbreed. The Saarloos Wolfdog (then called Dutch Wolfdog) is a relatively new dog breed originally from the Netherlands. It was developed by a Dutch breeder, Leendert Saarloos, in an attempt to create a new police dog breed with the strength and stamina of a wolf. The new dog breed is a cross between a male German Shepherd that he received from his neighbour's kennels and a female wolf (named Fleur) he obtained from the Rotterdam Zoo. In 1936, Leendert saw the first litter of wolf puppies. He submitted the new dog breed for recognition in 1942, with the goal to develop a reliable, brave and obedient working dog for the police force. Much to his disappointment, the new breed lacked the will to attack and was not very useful for police work. In 1943, the Dutch Kennel Club made a tentative decision to recognise the breed but decided to forego the decision. In 1963, Leendert Saarloos again attempted to get the breed recognised but sadly failed. Unfortunately, the dog breed was still not recognised when he died in 1969. The Dutch Kennel Club only recognised the breed in 1975 and renamed the dog "Saarloos Wolfdog" to honour its founder. 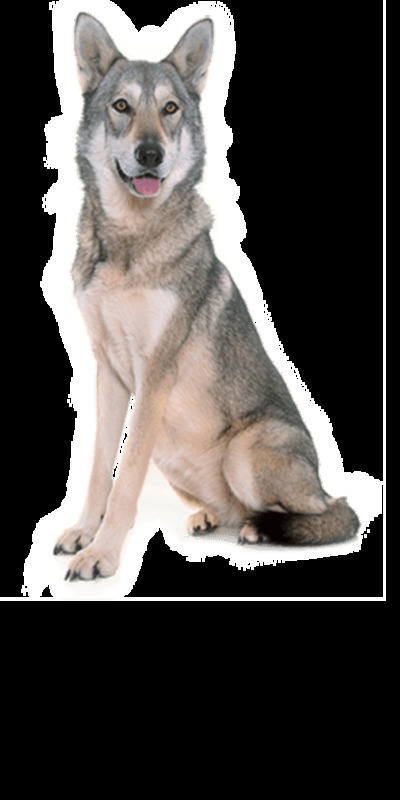 In the past, the majority of the Saarloos Wolfdogs were utilised as rescue dogs and guide dogs for the blind, but today most are bred as a companion and family pet. The Saarloos Wolfdog is a large and robust wolf-dog hybrid with an average size of 70 to 100 pounds and 60 to 75 centimetres. It is a muscular dog, medium-boned with a lithe build with a body that is longer than tall. The head is wedge-shaped with a wolf-like appearance with a broad, flat skull with a slight stop, long muzzle, triangular ears, almond-shaped eyes and a perfect scissor bite. Saarloos Wolfdogs also have broad chests, long muscular legs and large paws. 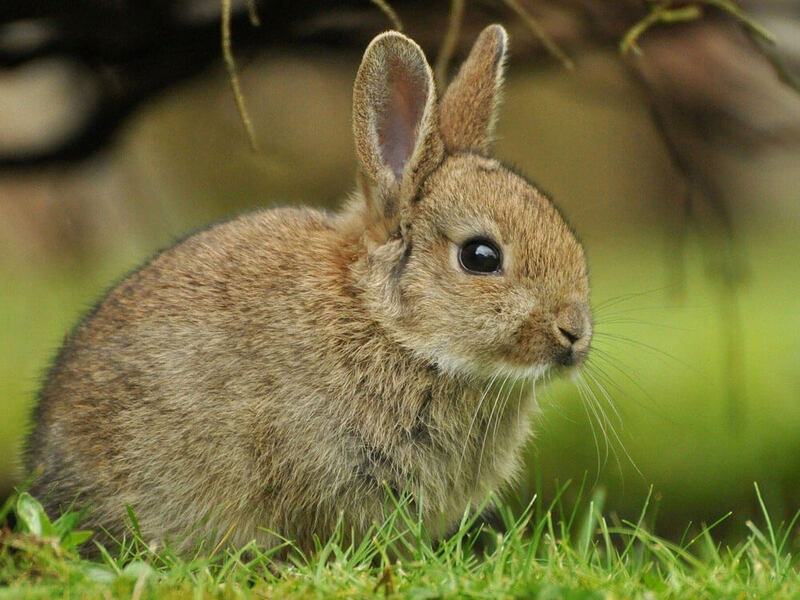 Its coat is short and thick that can protect them from the harsh weather. The coat comes in three colours: red, white and wolf-grey with the latter colour as the more dominant genes of most Saarloos breeds. The Saarloos coat needs to be brushed at least twice a week to keep its coat clean and matt-free. However, it will need a more frequent brushing during shedding season, in spring and autumn. Bathing should be done only when necessary to maintain its natural oils. Other dog grooming regimen must include checking its ears for any signs of infection and cleaning them regularly with a vet-approved solution. For dental care, the dog's teeth must be brushed at least twice a week to avoid gum disease and bad breath. Nail care is also important since nails that are left untrimmed for too long can cause discomfort. Overall, grooming should be regularly done to watch out for signs of infection, or ticks, fleas and other physical abnormalities. 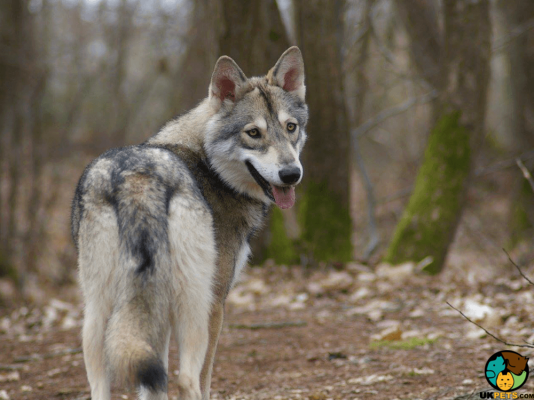 The Saarloos Wolfdog is a bit reserved when there are strangers around, which is typical of its wolf heritage. It is so skittish that it will attempt to run away when it is approached by someone it is not familiar with. Early socialisation is crucial to help Saarloos outgrow this behaviour; however, it will retain its suspicious nature toward strangers. Since this dog breed prefers to slink away when strangers are around, it is a mistake to buy a Saarloos Wolfdog for a watchdog or a guard dog. 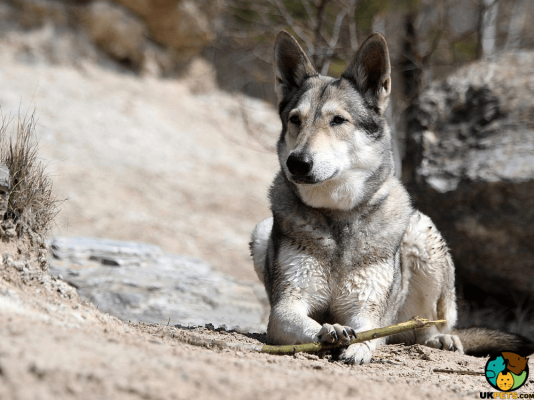 The Saarloos is smart, active and independent but unlike other breeds with these characteristics, this wolf-dog hybrid responds well to training. However, since it forms strong bonds with its family, it will need an owner that can give time and attention to its particular needs. With this said, the Saarloos is not suitable for novice dog owners. The Saarloos is great around children in its household but is wary of other children. It iswell-suited to families with older children who know how to treat this type of dog. Any interaction must be supervised at all times so playtime will remain safe and calm. Since the Saarloos has a very strong pack instinct, it gets on well with dogs and cats it grows up with. However, it is not to be trusted around smaller animals because of its high prey drive. 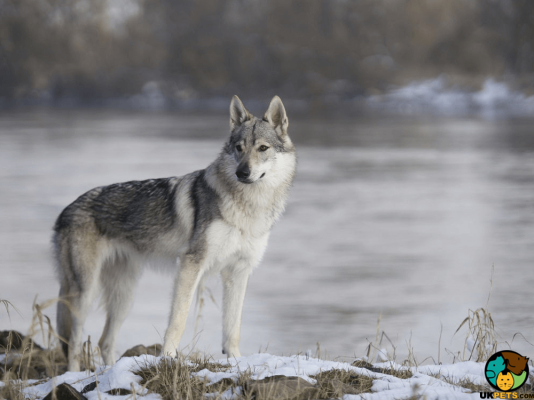 It is essential to provide the Saarloos Wolfdog with a diet with high protein levels and high-fat content since it will often burn the calories quickly. It also does well with raw feeding and dry kibbles. Remember to split the meals into two feedings per day to prevent bloating. 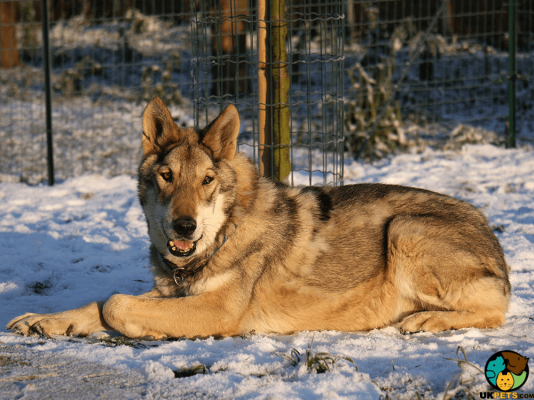 Overall, the Saarloos Wolfdog is a tough breed that only has a few health issues. However, since the German Shepherd is in its bloodline, it may inherit some of its health conditions. Some health issues to be aware of with a Saarloos Wolfhound include Hip Dysplasia, Degenerative Myelopathy, Pituitary Dwarfism Syndrome, Progressive Retinal Atrophy, Retinal Dysplasia, Juvenile Cataracts, and Subaortic Stenosis. As mentioned, Saarloos Wolfhounds are highly energetic dogs that will need plenty of exercises daily. They should be taken for walks to let them off steam and allow them to explore and meet their natural curiosity. Expect to provide at least 60 minutes of daily exercise, which should be done in a safe and enclosed environment. They will also require some mental stimulation through training and activities that will challenge their minds. 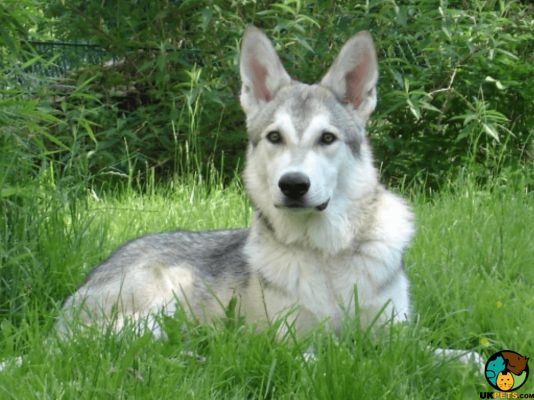 The Saarloos Wolfdog is a rare breed, so anyone who wishes to buy this wolf-dog hybrid will have to be registered on a waitlist with a breeder. That is not a cause for worry since the waiting will give buyers ample time to prepare financially. For owners to buy a Saarloos Wolfdog puppy, they will have to shell out no less than £400 for a well-bred one. Pet insurance cost will depend on a lot of factors, which include the owner's location, the dog's age and health status, and most importantly it will vary from one insurance provider to the next. The food cost will also vary depending on the size and activity level of the dog. This is because a larger dog will often require more calories, which also means pricier dog food. For this reason, an owner may need to pay £30 to £40 a month for a large dog like the Saarloos. Spending for veterinary care is a must if you want to avoid unnecessary trips for medical health checks or treatments. Make sure to take your dog for its regular check-up and vaccinations etc. The veterinary cost will likely be around £900 a year. Overall, you will have to spend £60 to £90 a month depending on the pet insurance provider you select. 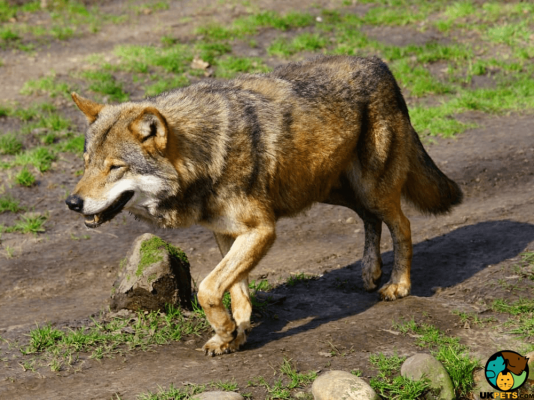 Is a Saarloos Wolfdog Right for You? The Saarloos Wolfdog is a large dog breed that weighs up to 100 pounds. It is a cross between a German Shepherd dog and a European wolf. It is a smart dog and generally responds well to training. It is a bit reserved when there are strangers around. It is not suitable for novice dog owners.